Vitamin e is a fat-soluble vitamin in eight forms. The most active and useful form of this vitamin for humans is alpha-tocopherol. Natural vitamin e, in addition to alpha-tocopherol, also contains other tocopherols such as beta-tocopherol, delta-tocopherol, and gamma-tocopherol. Often the term mixed tocopherols is used to describe a product that contains natural and all the various forms of the vitamin. There is also a synthetic form of this vitamin available. It is sometimes referred to as dl-alpha-tocopherol. Both the natural and synthetic forms show antioxidant benefits that this vitamin is famous for, but the natural form is more easily absorbed by the body. Some suggest that twice as much of the synthetic form is required than natural vitamin in order to get the same amount of vitamin into the body. The synthetic version of this vitamin contains half the amount of the alpha-tocopherol. Like some of the other vitamins, the main benefits of this vitamin lie in the fact that it is a powerful antioxidant. Its antioxidant activity means that this vitamin protects cells against harmful free radicals which can lead to cell damage and eventually cancer. What are the signs of a vitamin e deficiency? A deficiency is usually found in individuals with certain medical problems. Examples of these health problems are individuals who have fat malabsorption syndrome or have fat metabolism disorders such as abetalipoproteinemia, cholestatic liver disease, or cystic fibrosis. Conditions such as Crohn’s disease may also deprive individuals of the required amount of vitamin e and its benefits. Individuals on low fat diets have the potential for a vitamin deficiency to develop because, as described below, vegetable oils are a major source of vitamin e.
The signs of a deficiency of this vitamin include various neurological problems such as the lack of feeling in the hands and feet, muscle weakness, and degeneration of the retina in the eye that in severe cases can eventually cause blindness. 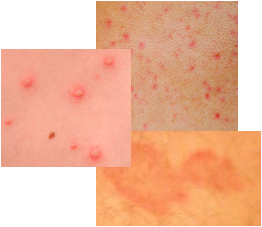 Other signs may include dry skin and eczema, psoriasis, easy bruising, poor wound healing, and hot flashes. What are the food sources for this vitamin? Humans do not manufacture the e vitamin in their bodies, only plants can synthesize it. Therefore, we need to obtain this vitamin from foods or supplements. The most abundant sources are vegetable oils such as sunflower, safflower, canola, olive, palm, corn, and soybean. Olive and sunflower oils contain the most alpha-tocopherol and are preferred because the alpha form is the most active for humans. Other oils such as corn or soybean mostly contain gamma-tocopherol, which is thought to still provide some of the benefits, but tend to be less active. Research is on-going to determine the benefits of vitamin e in forms other than the alpha form. The recommended daily intake for this vitamin is not high. For adults, the recommended amount is about 15 IUs to 30 IUs per day. Some experts recommend that at least 150 IUs (or possibly more) per day are required in order to take advantage of or maximize the benefits, such as its antioxidant activity. This vitamin is best used with other antioxidants such as vitamin c, green tea, etc. In terms of natural supplements of this vitamin, they are usually derived from oils such as soybean oil. Supplements are best absorbed when taken with meals. Note that high-doses (greater than 400 IUs) may raise the risk of death in older adults with pre-existing medical conditions. Too much vitamin may also result in bleeding related problems such as haemorrhaging. People with clotting problems or those individuals taking anticoagulant drugs should not take large doses. Some studies have indicated that individuals taking 800 IUs of vitamin e for a few months experienced no side effects. However, these same studies are unsure about side effects of high doses for substantially longer periods of time. When considering raising your intake, you should consult with your physician first.